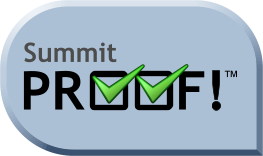 The videos below will show you some of the highlights of the Summit Service System to assist you in making an informed decision on licensing the software to improve your operation. We recommend that you view them in the order listed. The program is extremely easy to use and there are options built into the program whereby you can turn “on” or “off” different features or functions within the software to tune it for your specific business policies and procedures. Keep in mind that although the data samples shown in these videos are of a generic nature, the software allows you to specify and designate your own details as they pertain to your specific industry. The videos work best on a high-speed internet connection. As you choose a video, you may need to wait a few seconds for it to download. Remember to turn your speakers and volume on. Depending on your video player software, you may need to right-click while the video is playing to display options for pause, rewind, forward, etc. To exit a video selection (after watching it), Click the Back Arrow on your browser to return to this page to make the next menu selection. Some videos may immediately repeat upon completion. Easy to use! --Customer entry --to job entry --to invoice creation IN MINUTES! ...Please be patient while the selected video downloads. Please contact us if you have any questions or to schedule an on-line demo.